Are you having a family reunion? Do you want to surprise your guests? Are you having a company party? 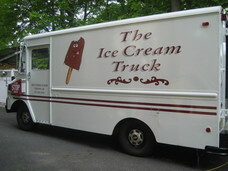 The Towne Scoop Ice Cream Truck or Bus would love to come to you! Click Here for more information or to inquire online on how to book the Ice Cream Truck or Bus to visit your next social gathering or party! The Newest Member Of Our Fleet!